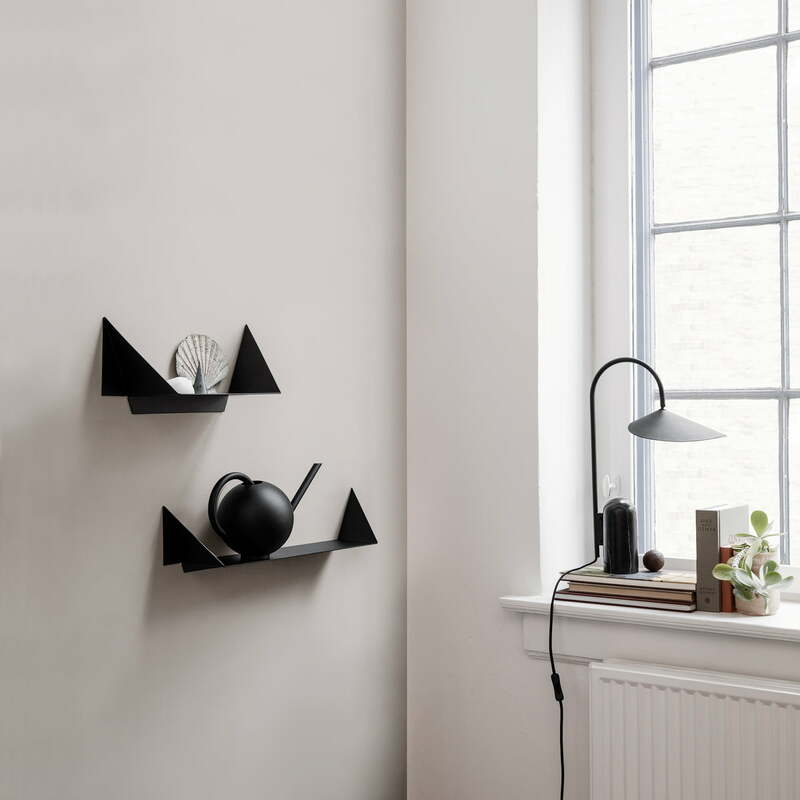 The Orb watering can from ferm Living is characterised by its round shape, which gives it a characteristic sculptural expression. The combination of the voluminous body, which has a capacity of 2 l, and the straight-line spout makes the jug a stylish accessory that is not only an eye-catcher when watering flowers. Orb integrates perfectly into any ambience and is a wonderful decorative element on the windowsill or wall shelf next to the houseplants. 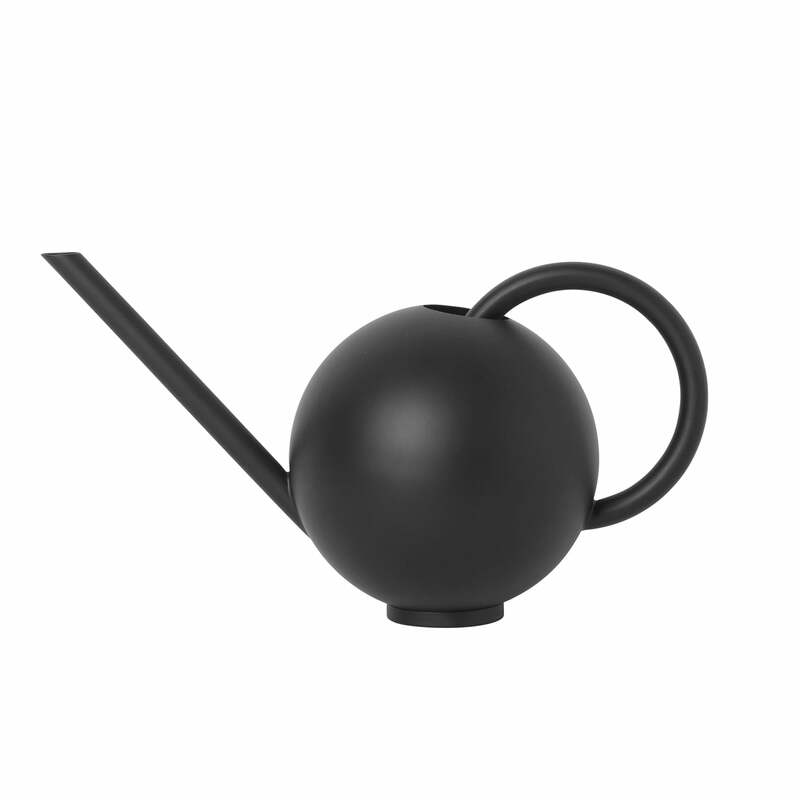 The Orb watering can is made of powder-coated metal. 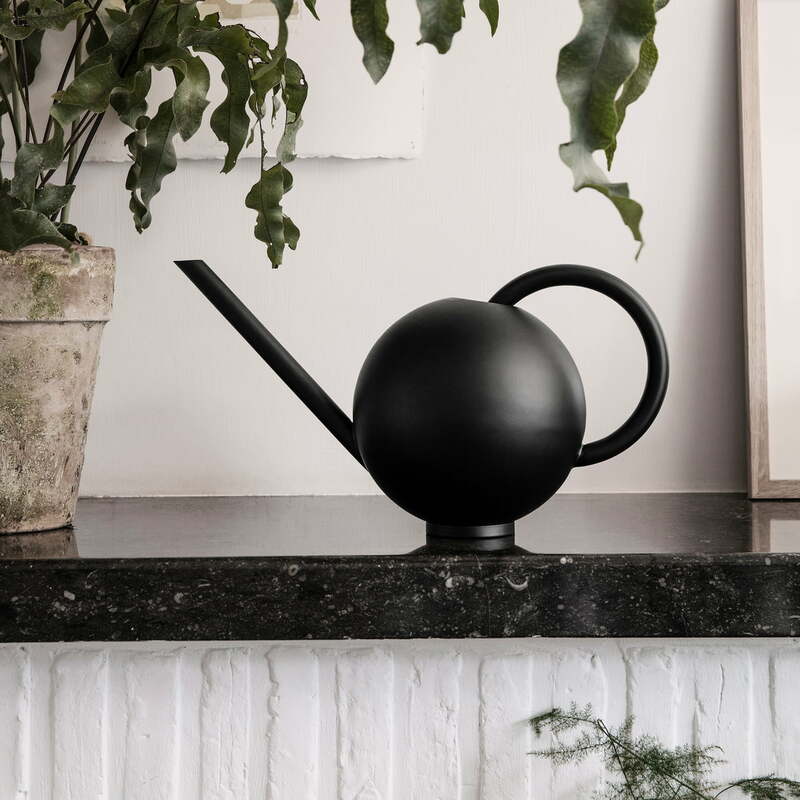 Orb watering can, 2 L in black from ferm Living in single view. 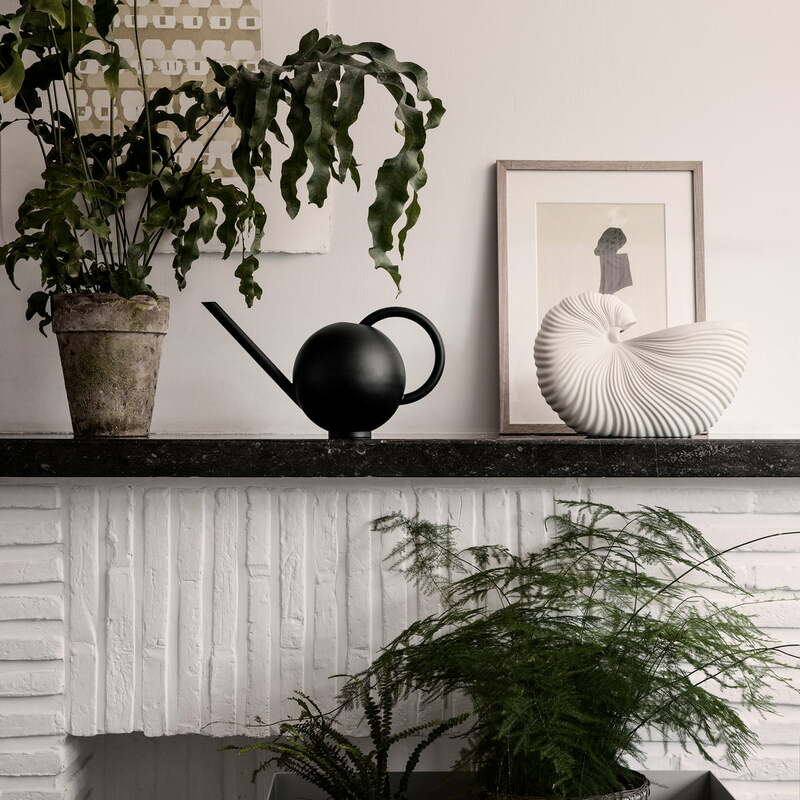 The Orb watering can from ferm Living is characterised by its round shape, which gives it a characteristic sculptural expression. 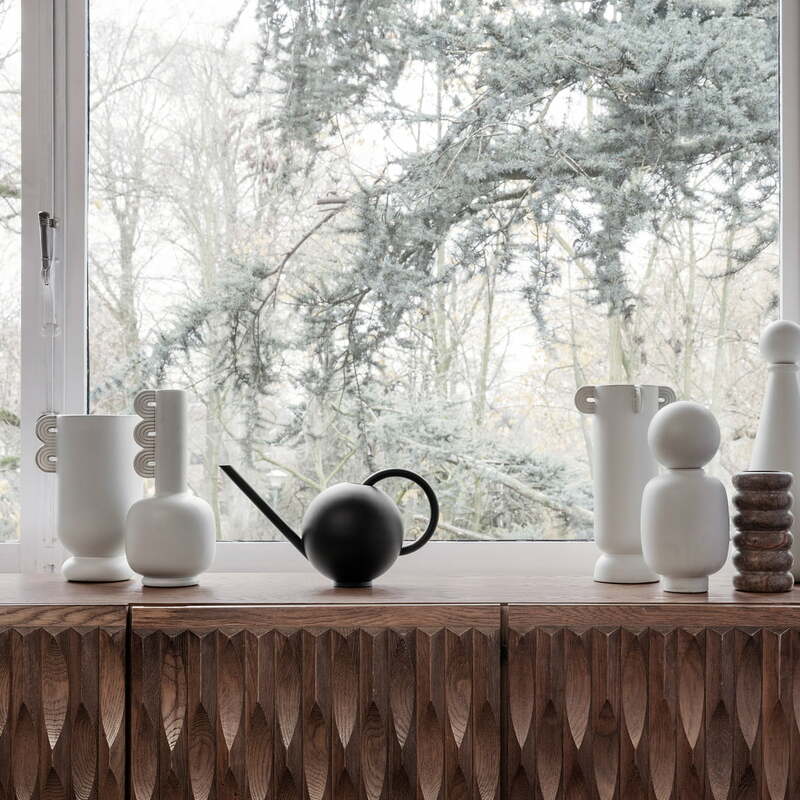 Orb watering can from ferm Living in the ambience view. Orb integrates perfectly into any ambience and is a wonderful decorative element on the windowsill or wall shelf next to the houseplants. Orb watering can and Arum table lamp from ferm Living in the ambience view. Watering can and table lamp are a perfect match. They can be optimally combined with each other.